Sarah Anderson is a survivor, and she has faced life’s obstacles and overcome them with determination. But nothing prepared her for her biggest obstacle: facing physical and emotional abuse at the hands of her husband. Like any predator, Sarah’s ex-husband fought to control his victim, isolating her from her family and friends, demanding to look at her cell phone at all times, and, worse, punching and hitting her to beat her into submission. Through all this, Sarah was most fearful of what he might do to her children. He was constantly yelling at them, shutting them in their room for long hours and bullying them. 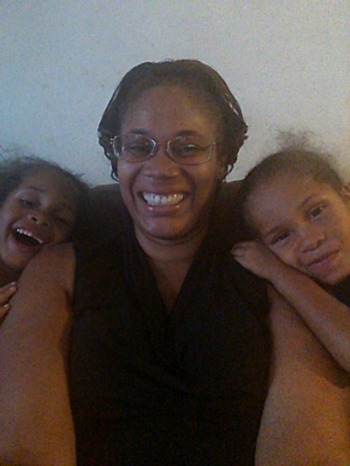 Her twin children, Joshua and Josiah, would see their mother crying and in pain. Finally, Sarah realized that his physical abuse might extend to her kids, and she fled one night with only her children in her arms and the clothes on her back. Initially, she stayed with a friend, but her friend said they couldn’t stay long. Her mother and family were many miles away on the East Coast, so she had no family or relatives to rely on. It was a desperate struggle. Sarah prayed for a miracle. Then another friend told her about A New Leaf. Sarah and her children were accepted into A New Leaf’s program, and at once found safety, peace and security. She made friends with the other mothers in the program and her children were welcomed with open arms. She was able to take advantage of the campus activities, and has enrolled in financial classes and workforce support.